Rogue River, OR (January 26, 2016) – Wagner Meters is proud to announce the DataMaster™ app for contractors, flooring installers, and others who utilize relative humidity (RH) testing, specifically, the Rapid RH® 4.0 EX, to assess the moisture condition of concrete floor slabs. Links all recorded data to a display of your job site’s sensor locations with the new mapping function. You now have the ability to integrate sensor location pictures with their raw data. Another bonus is that the DataMaster™ app is available at the iTunes store for only $99.99; even with the required purchase of the NEW Rapid RH® Bluetooth® Smart Reader for an additional $189, the total is ½ OFF the cost of the original DataMaster™. To purchase the DataMaster™ app, visit iTunes, or for more information about either the DataMaster™ app or the Rapid RH® product line for measuring RH, please contact Wagner Meters. 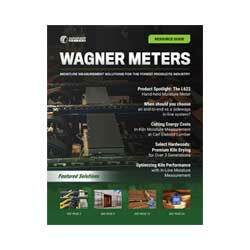 For over 50 years, Wagner Meters has set the standard for the moisture measurement industry, creating and providing solutions to enhance the quality and value of their customers’ products and businesses. From hand-held pinless wood moisture meters to inline systems for lumber mills; from the state-of-the-art Rapid RH® system to the award-winning DataMaster™; and from online educational video series to on-site live training, Wagner continues to lead the way into the future.